Schools of tilapia, koi, and prawn are helping to teach students in all parts of the Commonwealth about environmentally friendly and sustainable farming skills. At the Commonwealth Charter Academy (CCA) Capital Campus in Harrisburg, nutrient-rich water flows out of the fish tanks and into beds where plants and vegetables such as lettuce, kale, tomatoes, and herbs grow in close proximity. Then the water, which is cleaned in the process, is returned back to the fish tanks via plastic pipes. 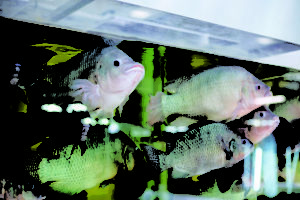 Welcome to the world of aquaponics. In December, CCA a Pennsylvania public charter school, unveiled AgWorks at CCA, the largest public educational aquaponics facility in the country. This living, learning laboratory, funded through a federal grant, provides students with hands-on experiences in a 6,100-square-foot, state-of-the-art controlled environment agriculture center located at the school’s Capital Campus in Harrisburg. The AgWorks at CCA facility is a sustainable, zero-waste ecosystem. It uses fish to fertilize plants, resulting in higher yields of produce than traditional agriculture. Bio-controls are used in place of pesticides, ensuring that the GMO-free produce is free of contaminants. Solar panels located on the school’s roof supply 100 percent of the energy needed to power the facility. Under the guidance of teachers and horticulture experts, CAA students manage the facility by growing and maintaining nearly 3,000 plants and approximately 400 fish. Students grow and harvest organic fruits, vegetables and herbs including avocados, bananas, lettuce, kale, microgreens, and basil. They raise and maintain tilapia, koi and prawn, which play an important part in the aquaponics lifecycle and the facility produces about 1,000 heads of leafy greens per month. An added benefit: The produce harvested at AgWorks at CCA is donated to feed the local Harrisburg community. It is also sold to retailers and restaurants including the Hilton Harrisburg, Black N Bleu restaurant and Harvest Seasonal Grill and Wine Bar in Harrisburg. 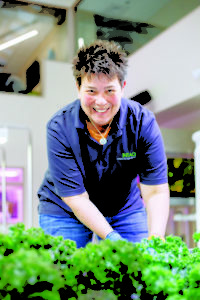 “Restaurants like the quality and flavor of our produce,” says Samantha Johnson, director of aquaponics programs at CCA. “Because our produce is locally sourced and doesn’t have to been transported for many miles, it is fresher and lasts a lot longer. “Grow lights are a critical component of any indoor aquaponics system,” says Johnson. She says the facility’s grow lights are programmable, and students can manipulate the amount of hours that plants need to grow in a certain time period just by changing the lighting. Students then enter the data through an on-line dashboard which is set up on the floor of the facility. “CCA will rely on students’ research to determine the percentage of light plants grown at the facility need to grow in a specific time,” says Johnson. CCA has also created virtual experiences allowing students to engage with the AgWorks at CCA’s facility from other parts of the state through live cameras, high-tech water monitoring sensors and an online digital dashboard that processes real-time data. Approximately 175 students can log on their computers at any given time see what’s happening at the facility. 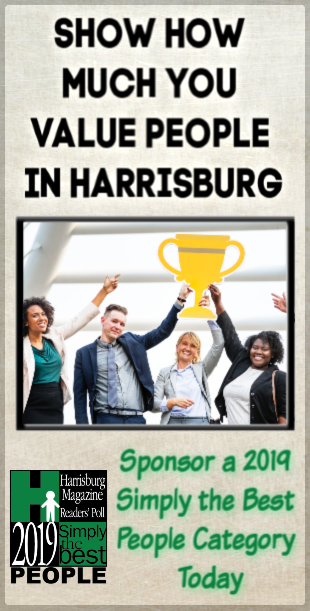 According to the Pennsylvania Department of Agriculture, Pennsylvania provides nearly 500,000 agriculture and food-related industry jobs across the commonwealth. Between now and 2025, the Department says there will be 75,000 new and replacement job openings in Pennsylvania for agriculture and food careers. “At AgWorks at CCA, our students are learning about all of the various agriculture careers available including jobs in transportation, engineering, business, technology, sales, marketing, and trades,” says Johnson. As students participate in growing and harvesting produce, they learn science, biology, ecology, nutrition, agriculture and a work ethic. 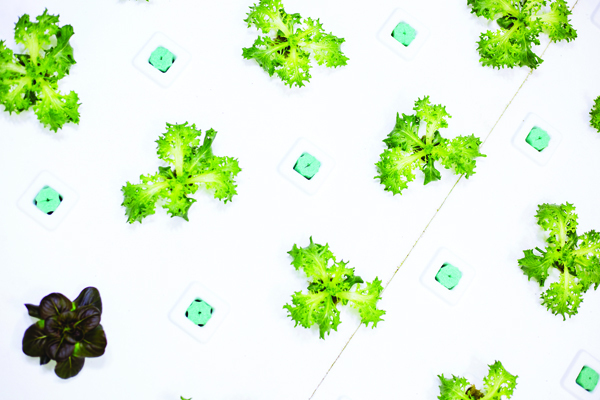 This experience will prepare them for the rapidly growing aquaponics industry, controlled environment agriculture, and other sustainable living careers, says Johnson. “Equally important is they are learning good work ethics that will translate to any profession they pursue,” she adds. Some CCA AgWorks students say they are motivated to pursue career in aquaponics as soon as they graduate. “Professionally working in the field of aquaponics is what I want to do for a career,” says Nathaniel Saxe, an 11-th grade CCA student. “This facility is just incredible. What CCA is offering me in high school is something that most colleges aren’t capable of. I’m able to gain more knowledge now and better prepare myself for a career.” Saxe, who lives in York County says he hopes to eventually purchase a downtown warehouse and convert it into a learning facility to teach others how to grow food all year round. Flurie says AGWorks at CCA is open for other schools, universities and nonprofit organizations to tour and participate in a variety of educational activities. In addition to the facility, CCA has created a fully functional, smaller-scale, traveling version of AgWorks at CCA to visit communities throughout Pennsylvania, creating opportunities for all CCA students to participate in aquaponics activities and hands-on lessons. The facility was designed and constructed by Harrisburg aquaponics company, Intag Systems, and the solar panels were installed by Solar Renewable Energy, LLC, located in Mechanicsburg. BioHiTech Global, a technology developer specializing in improving waste management, installed the sensor array for plant-growing beds and fish tanks. “CCA welcomes partnerships with businesses, researchers, and communities that can benefit from AgWorks at CCA and are willing to create learning experiences for K-12 students,” says Flurie. To learn more about AgWorks at CCA visit agworks.ccaeducate.me.